For decades, DC Comics has provided an intriguing cast of superheroes, each with exciting origins and phenomenal storylines. With double the personality and a wit to match, Firestorm draws fans of all ages. This elemental hero, emerging from the Firestorm Matrix, has enlivened comic book series, animated films, and live action TV shows. Now, you may add his fine image to your epic collection. 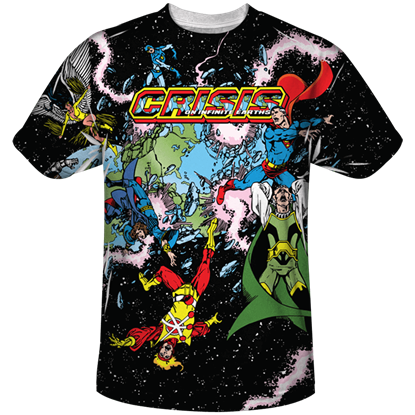 In our unending quest to unearth action-packed finds, Superheroes Direct is ever on the lookout for Firestorm merchandise. Whether T-shirts, hoodies, action figures, keychains, travel mugs, or POP collectibles, we search the world over. Let Firestorm fans everywhere keep a vigilant eye on our dynamic assortment, you never know what we will reveal next.